Nightcrawler wrote: "He preformed what I can only call miracles just like in the bible. 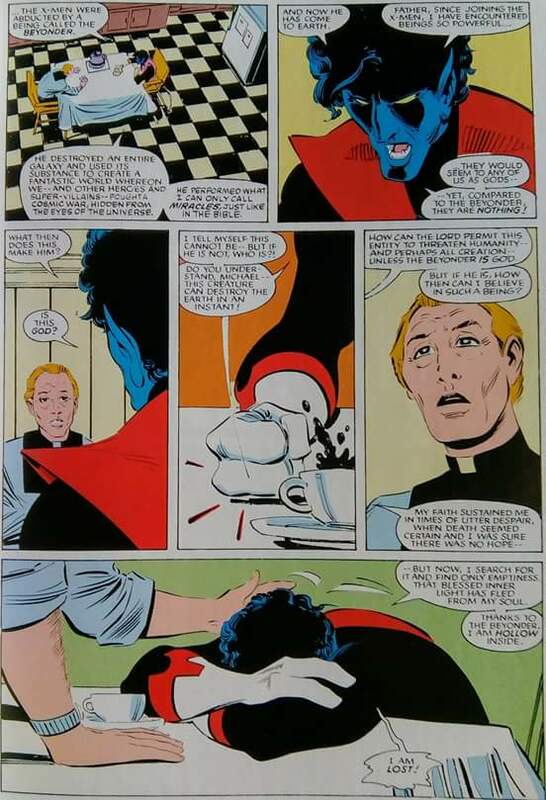 Father, since joining the X-men...I have encountered beings so powerful....they would seem to any of us as Gods......yet...compared to the Beyonder they are nothing! What then does this make him? Is this God? I tell myself this cannot be--but if he is not, who is it? Do you understand, Michael this creature can destroy the earth in an instant! How can the Lord permit this entity to threaten humanity--and perhaps all creation unless the Beyonder is God..but if he is, how can I believe in such a being?"